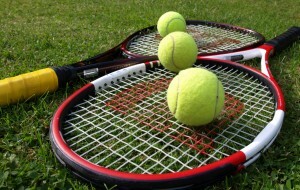 Summer Term Tennis after school Club at Oldfield Primary School ! Very warm welcome to all pupils from Y1&Y2,Y3&Y4 and Y5&Y6 at Oldfield Primary School who joined Tots to Juniors Tennis After School Club this Summer Term ! http://totstojuniorstennis.co.uk/wp-content/uploads/TJT_500px-450x291.png 0 0 Dessi http://totstojuniorstennis.co.uk/wp-content/uploads/TJT_500px-450x291.png Dessi2017-05-13 21:16:392017-05-13 21:16:39Summer Term Tennis after school Club at Oldfield Primary School ! A new member of Tots to Juniors Tennis Family ! At Tots to Juniors Tennis we are delighted to announce that this Summer Term we will deliver tennis coaching to children Y3, Y4,Y5 and Y6 from London Welsh School. http://totstojuniorstennis.co.uk/wp-content/uploads/TJT_500px-450x291.png 0 0 Dessi http://totstojuniorstennis.co.uk/wp-content/uploads/TJT_500px-450x291.png Dessi2017-05-03 05:55:132017-05-03 05:55:13A new member of Tots to Juniors Tennis Family !